As their Royal Highnesses William and Kate wend their way through Asia and the South Pacific on the Jubilee tour, Monte Luke Photography Studio recalls earlier grand royal visits. A young Queen Elizabeth – only one year into her reign and accompanied by a dashing Prince Philip – came to Australia in 1954, and we captured it on film. Australia’s population at the time was eight million and it’s estimated that three-quarters of them saw the couple somewhere along the way. 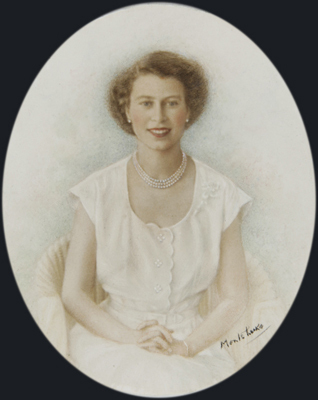 The photo here is a miniature derived from a group portrait taken by Monte Luke at Government House.